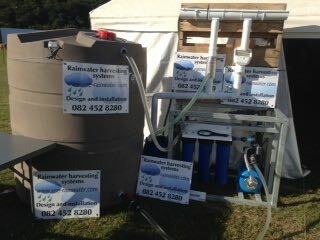 Use Rainwater exhibited at the Lifestyle EXPO at Hutchinson Park in Amanzimtoti. For the exhibit they have built a small rainwater harvesting unit to explain to, and educate the public how small household rainwater systems work. It was a great attraction for many visitors, many of them inquiring about installing their own rainwater harvesting systems.